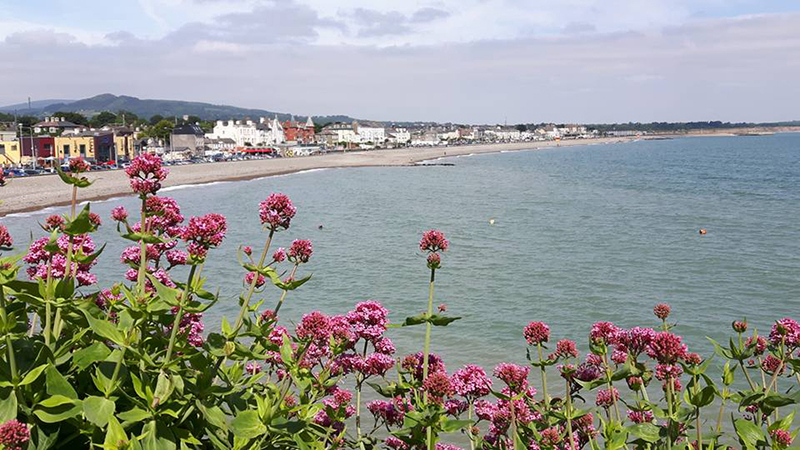 One of the thing I was keen on doing and had been recommended by so many people before I headed off to Ireland was to take the train down towards the South and spend some time by the sea in one of Ireland’s coastal towns. Luckily Erin and I caught a break in the slightly grey weather on the Saturday morning of our trip and decided escape the hustle and bustle of Dublin to do just that. 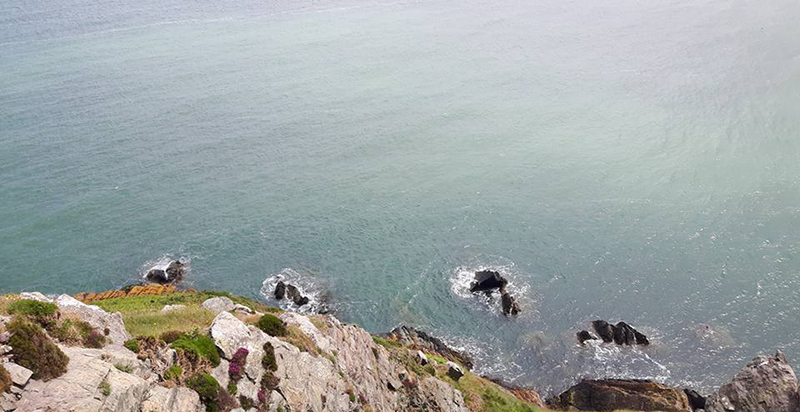 We already had a three day train pass, so used it to our full advantage and meandered down the beautiful Irish coastline on the DART. First of all the DART is awesome. 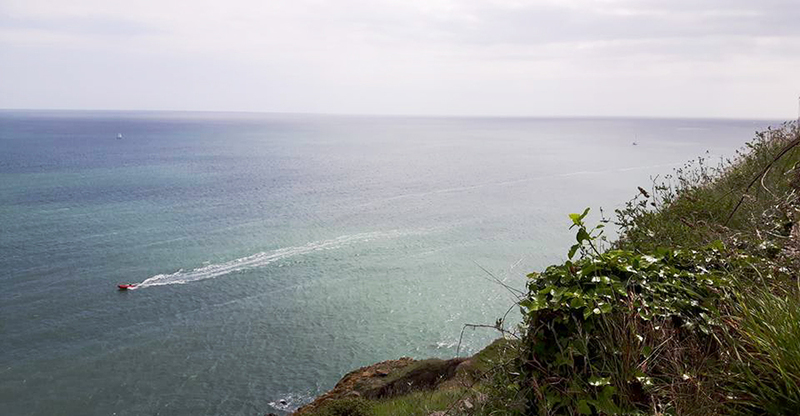 The train line itself runs right alongside the sea and you get some stunning views over the waters and cliffs which looked amazing in the late morning sunshine. 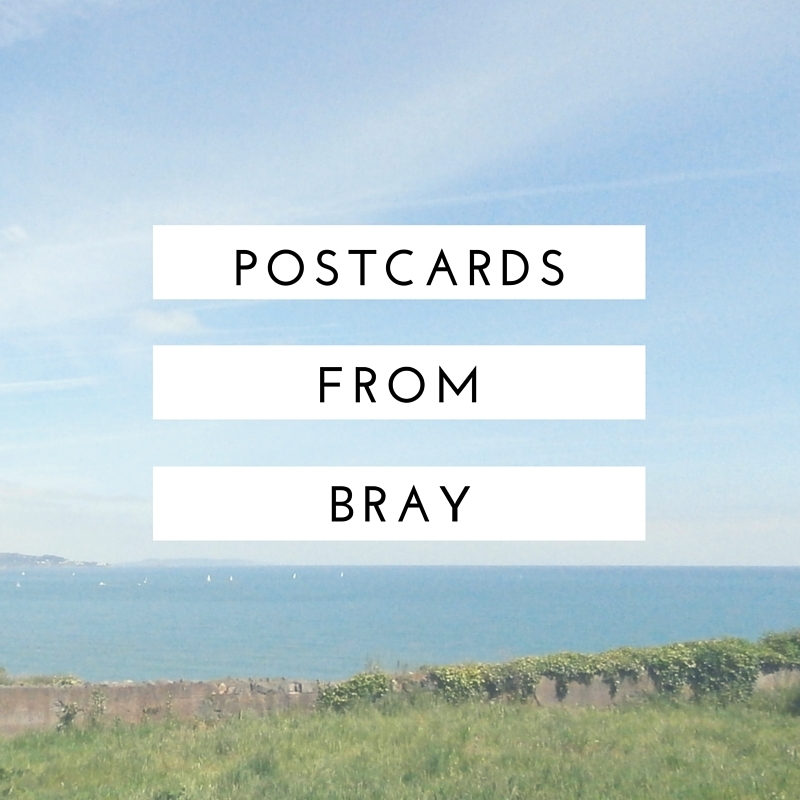 Our train tickets got us to the quiet town of Bray in Wicklow county. 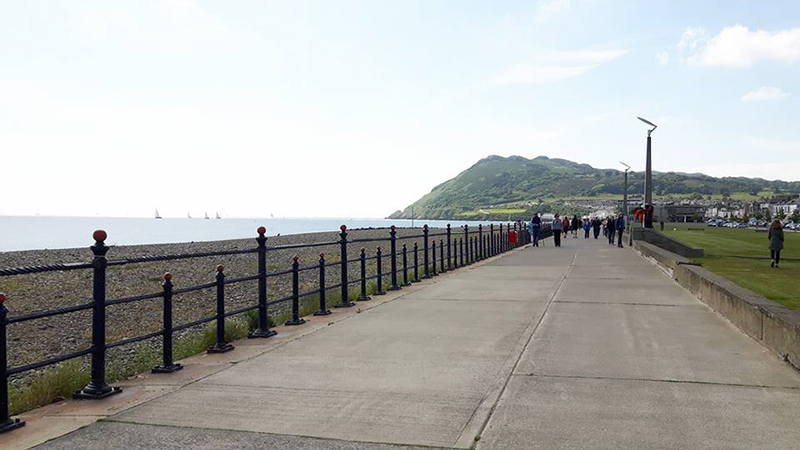 Now that I live in Oxford I don’t really get down to the beach that often anymore and boy did heading down to Bray make me miss being in such close proximity to the sea. 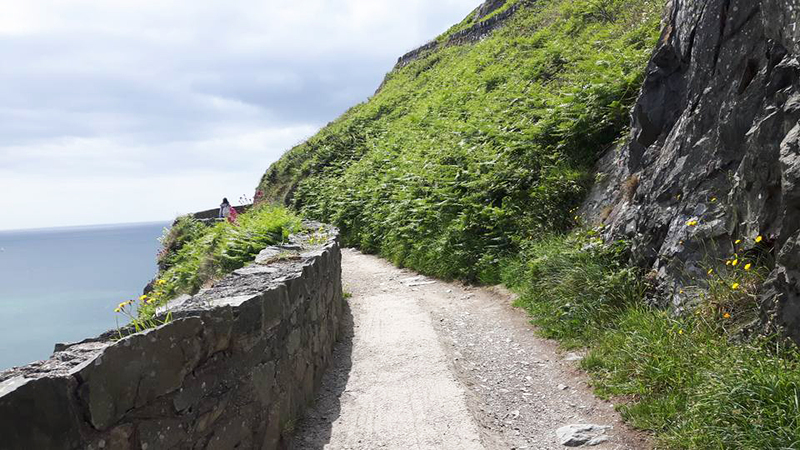 After a little stroll on the promenade we ended up hiking most of the way up Bray cliffs, which tower marvellously over the small town. Once again the views were stunning and it felt good to have that fresh air and the sound of waves cascading over the rocks below in the air. Before we said a sad farewell to the town we did pop into Platform Pizza Bar which was just by the train station for the lushest seafood salad and vegan pizza – honestly this place had such a top notch salad menu, I highly recommend if you ever visit the area.